what's cooking in my tuscan kitchen: Tortelli di Lucca "My Way" - Meat filled ravioli "My Way"
Tortelli di Lucca "My Way" - Meat filled ravioli "My Way"
Here in Lucca one of the local treats are "tortelli" or meat filled ravioli. 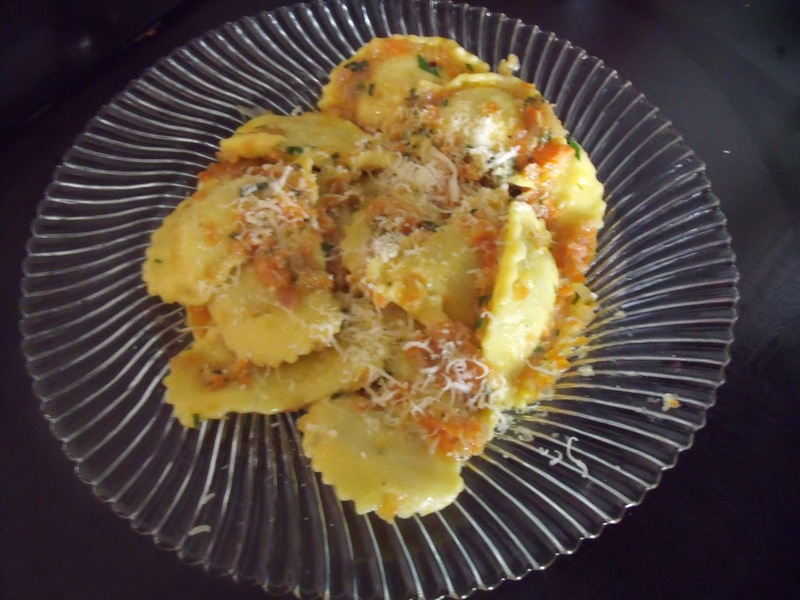 I have always seen them on local menus served with a rich meat sauce and they are delicious like this, but the delicate flavour of the meat filling is overpowered. 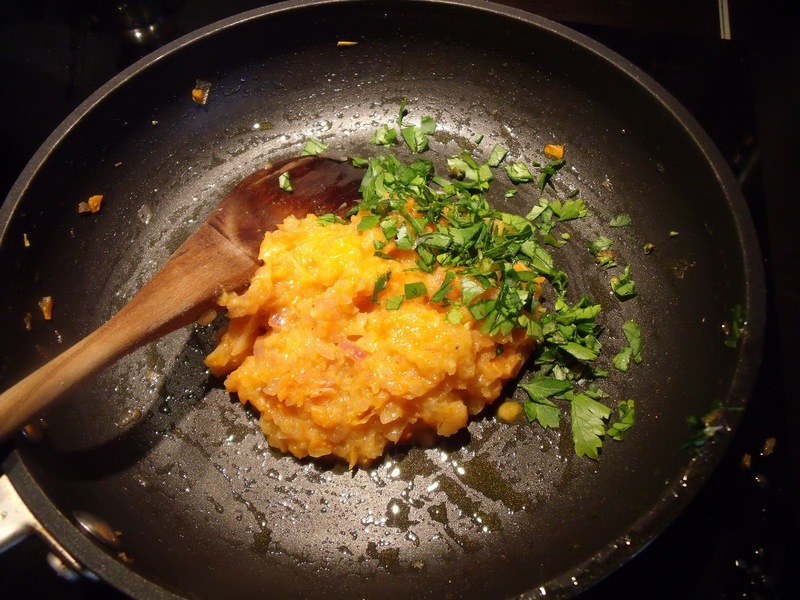 The filling is made from several types of meat which are braised with white wine, herbs and spices until tender. 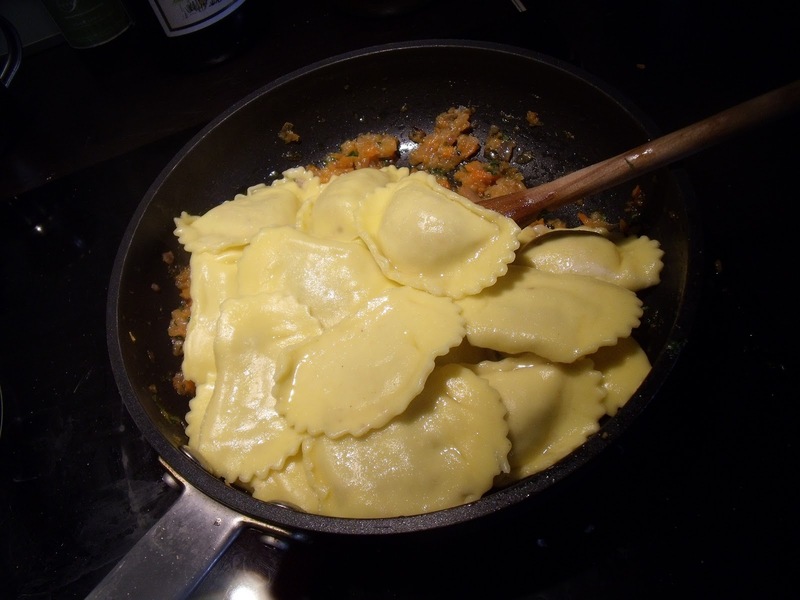 Then the meat is ground and mixed with grated Parmesan cheese and eggs and is used to fill the tortelli. 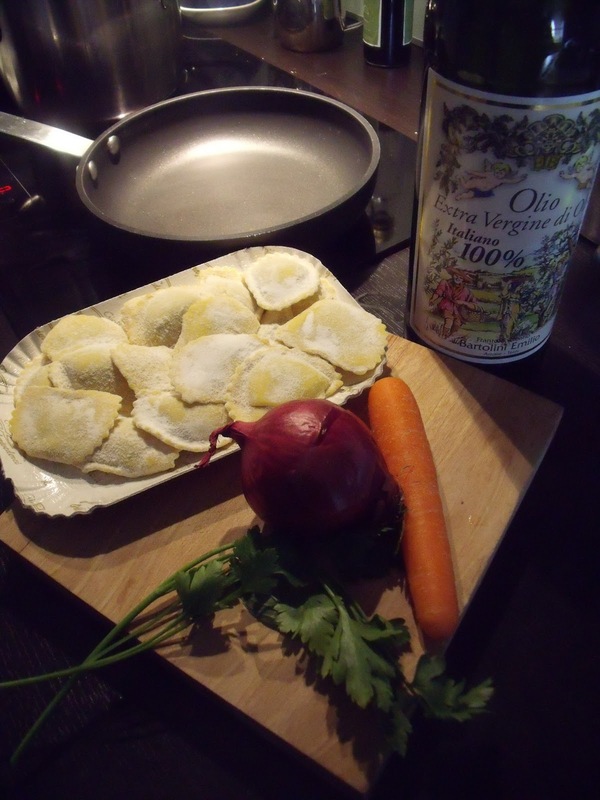 The tortelli have a delicate flavour with a note of nutmeg. 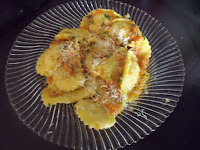 I wanted to serve these tortelli with a condiment that would enhanced and not overpower the filling. 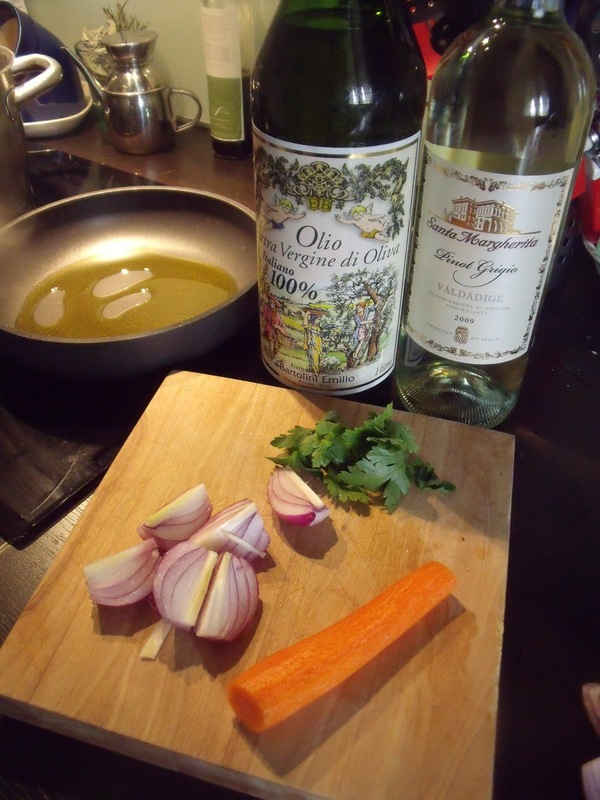 I came up with a delicate onion sauce. So here goes! Ravioli with meat filling, if you can find a "homemade" version in an Italian Deli, go for it! Pare the onion and carrot. Wash the parsley and basil. 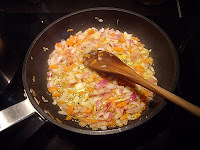 Finely chop the carrot and onion (you can also add a small, tender stalk of celery). 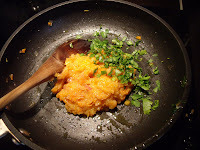 Finely chop the parsley and basil and set aside. Sauté the onions and carrot in a couple of tablespoons of extra virgin olive oil. When the onion is translucent, add about a 1/4 cup of dry white wine, lower the heat and allow the vegetables to simmer for about 10 minutes. 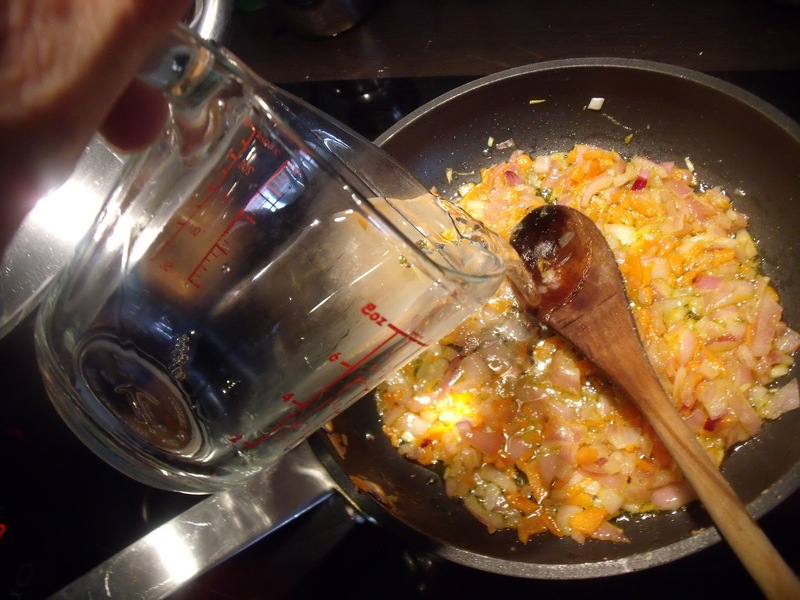 At this point the vegetables should be soft, adjust seasoning with salt and pepper. 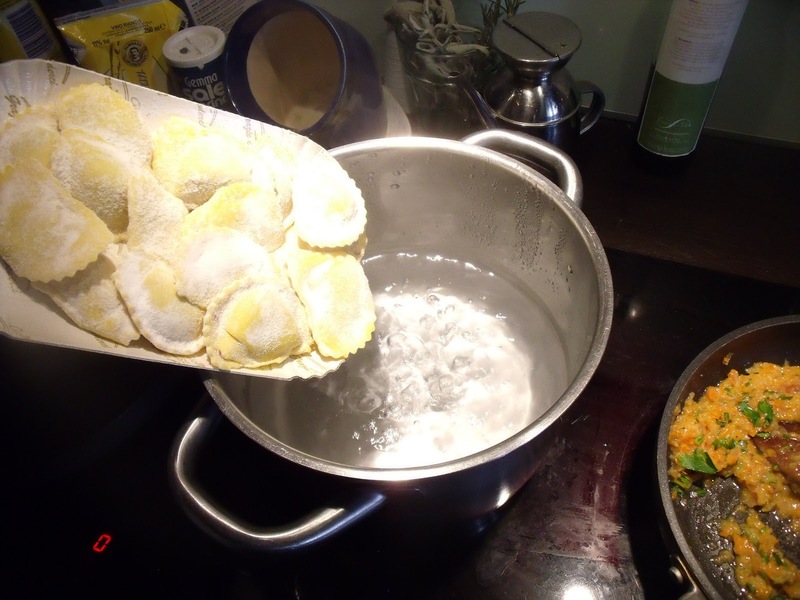 Put the ravioli in to boil. They will only take about 5 minutes to cook if they are fresh. If they are frozen, follow the directions on the package. 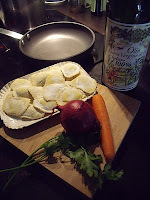 While the ravioli are cooking, put the cooked vegetables into a food processor and chop (do not puree them, the mix should still be a bit coarse). Personal note: I just bought myself a mini processor. 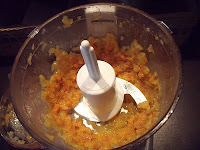 Before I would use a food mill or just not grind them at all. Return the vegetable mix to the fry pan and add the chopped parsley and basil. 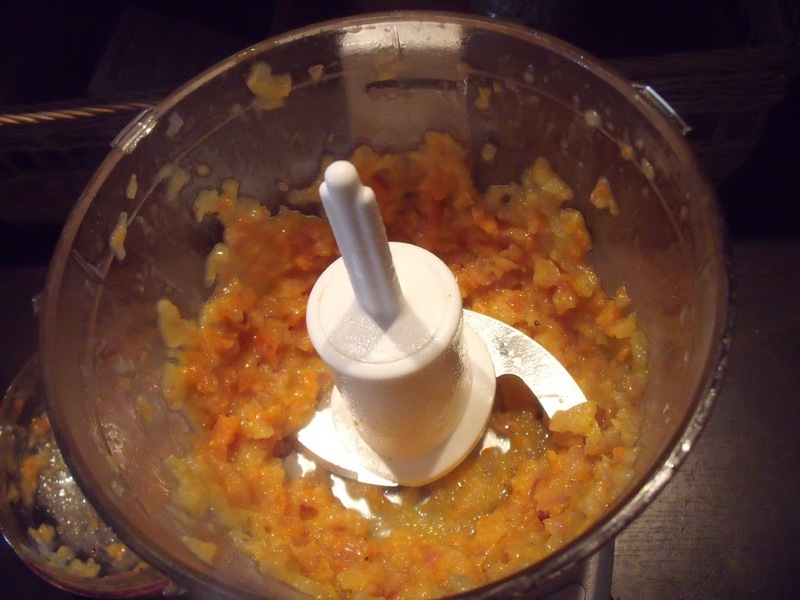 You may want to add a tablespoon of butter for a richer sauce. 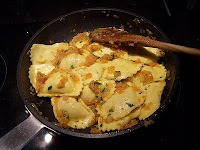 By now the ravioli are done, add them to the fry pan with the onion sauce and chopped parsley and basil. Toss over high heat for about a minute to coat the ravioli and amalgamate them with the sauce.